Jewish Bollywood Day at the 2018 Washington Jewish Film Festival! I’ve been attending the EDCJCC’s Jewish Film Festival for over 10 years now, and at last it feels like my day has finally come! I’m far from a Bollywood aficionado but I’ve engaged in ordering some modern films from Netflix in my day. Last Saturday, the festival and AFI Silver Theatre brought us back to the early-to-mid 20th century with the documentary Shalom Bollywood, followed by the 1955 film Shree 420, starring Baghdadi Jew Farhat Ezekiel, more commonly known by her stage name, Nadira. There’s a jocular, light-hearted tint to this film, which features lots of cartoonish depictions of the actresses wiggling their hips (though apparently most of them were known for their eyes. Really carried the acting in these classic films, imho.) Uncle David abandoned the possibility of a career as a lawyer to pursue his dream on the silver screen. He and several of the ladies were also a bit into the party scene. This was a strange juxtaposition against the fact that many of these stars actually ended their lives in pretty low and lonely places. The stress of showbiz seems to be ubiquitous, whether you’re working out of Los Angeles or Bombay/Mumbai. Still, the film does an admirable job of documenting Bollywood for an unfamiliar audience. Using archival footage but nixing any English subtitles, narrator Ayesha Dharker weaves a tapestry summarizing the storylines of several Bollywood movies and how they fit into broader Indian history. India’s Jewish communities are also, of course, touched upon, and Nadira’s good friend and Jewish communal leader Solomon Sopher is interviewed. India is also a land known for its lack of antisemitism–which often leads to intermarriage–as was the case with Pramila and her Muslim husband. Ali talks about his family’s dedication to multicultralism and coexistence, but he’s also passionate about his mother’s Jewish customs. Following this was a showing of the classic Bollywood movie, Shree 420, where a country bumpkin who moves to Bombay is drawn into a Ponzi scheme by some nefarious rich folks. 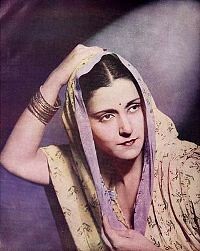 Nadira plays “the vamp,” which Shalom Bollywood explained was the temptress role meant to act in contrast to the more virtuous heroine. Nadira’s character was immoral and uncouth, and at one point she tempted the male lead by dancing in a dress so skin-tight that she couldn’t even sit down between takes. The film quality was scratchy and, like with other subtitles I’ve seen, there were often misspellings and even a section where it cut out completely. But other production values stood the test of time, I think, particularly when “the spirit” of the female protagonist left her body to implore the male lead to stay. The film also featured the catchy tune, “Meera Joota Hai Japani,” which went on to be a big hit, including in Israel! Shalom Bollywood and Shree 420 were sponsored at the Washington Jewish Film Festival by Sephardic Heritage International DC, and the former was also sponsored by the Embassy of Australia. The festival ended last Sunday, May 13, but for coverage of previous years, click my “Annual Events” tab. 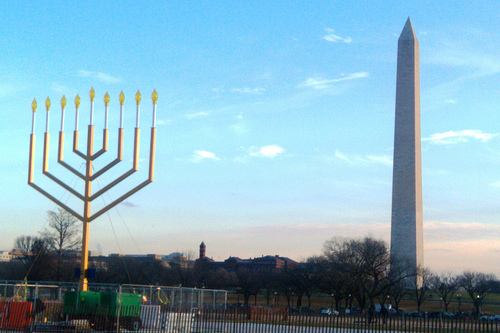 This entry was posted in Social Events and tagged DCJCC, Jewish History, Just for Fun, Sephardic Heritage in DC. Bookmark the permalink.